Unfortunately it does not say where, just that it was the County Council Main Emergency Centre and has since been demolished . This was situated at the bottom end of the old KCC site at Springfield, off Sandling Road. 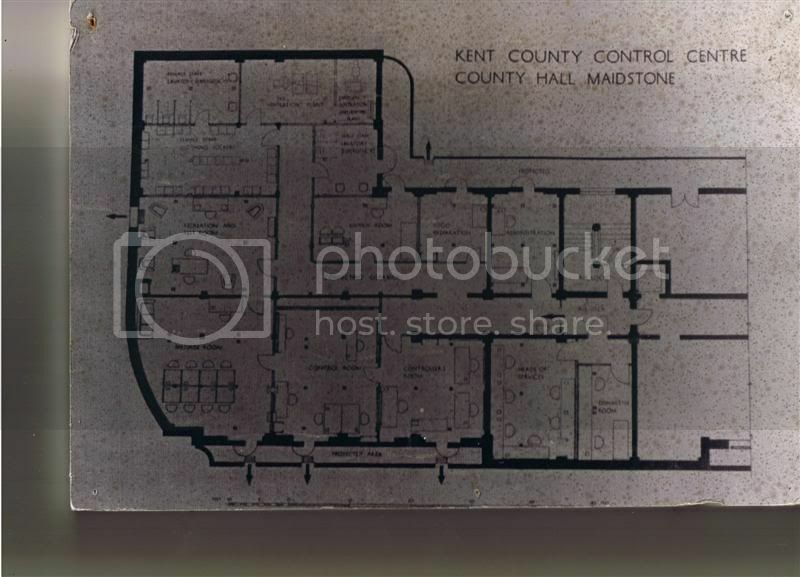 The photograph above is a function hall next to the old tennis courts, now Lee Heights / Bambridge Court flats. There was a huge green steel door just out of shot to the right, only ever saw this open once, around 1995 - the door was very thick, would say at least a foot. 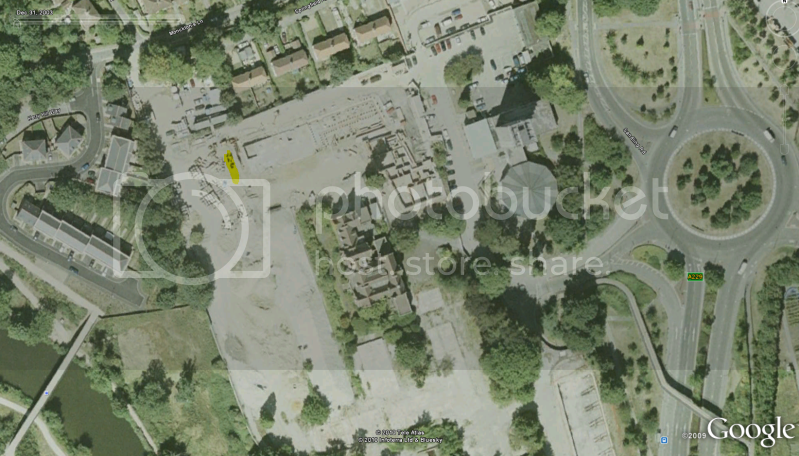 Ive taken a grab from Google below which dates around 2003 showing the first phases of redevelopment, from memory the area of the photo (facing east) is highlighted. There also used to be an 'E' shaped air raid shelter to the south of this map, past the large office blocks that were demolished about ten years ago. Haven't been able to find any further info on these & dont know if it still exists. I also remember nearby a seperate door & passageway that led underground for approx. 50 metres, bricked up every 20 metres or so. This led to a huge metal radiation sign bolted to a door, which surfaced above ground in a small brick building within the Whatman paper mill site. Inside the building was a couple of heavy hinged-lid wooden boxes with test tubes inside, probably used for beta radiation materials to test thickness of paper. Is this in Springfield? I may have a look on my way home.